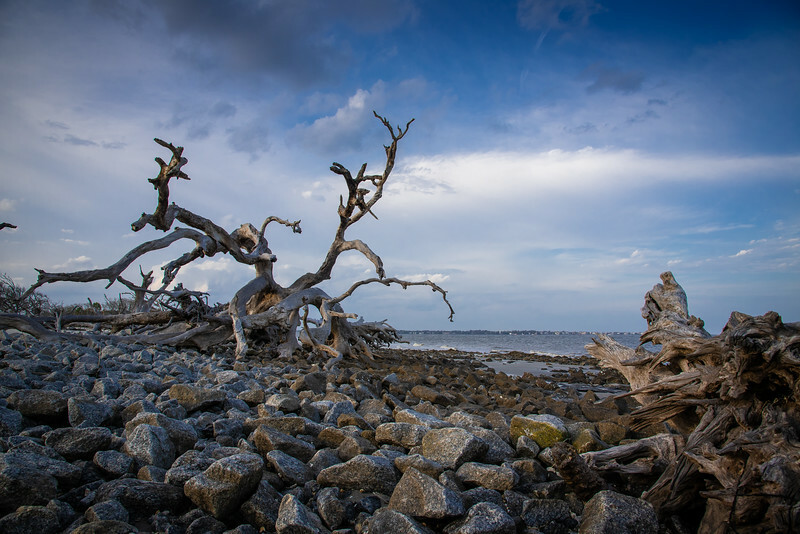 Jekyll Island…you could be forgiven for having no idea at all where this is located because honestly, I had never heard of this place until a few weeks ago! 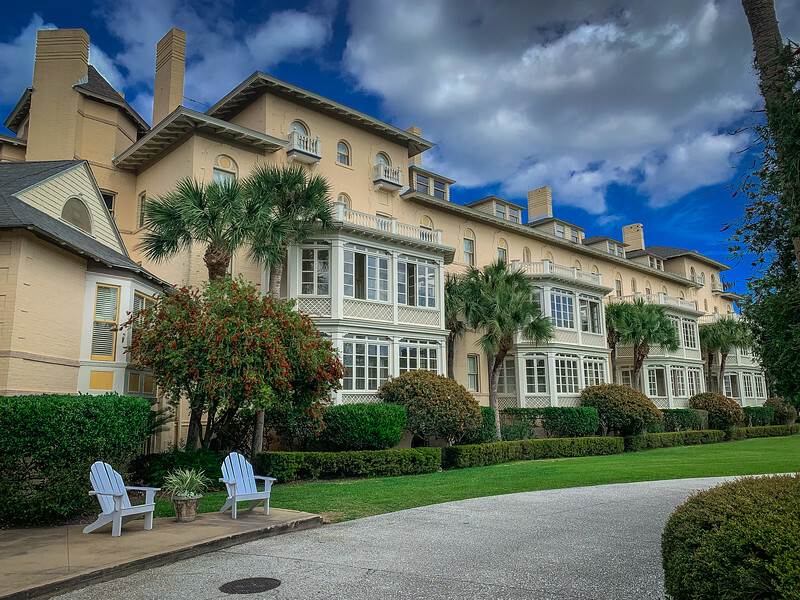 Located along the Atlantic Seaboard in the state of Georgia, Jekyll Island is a real gem of a find for anyone that loves history, architecture and natural beauty. 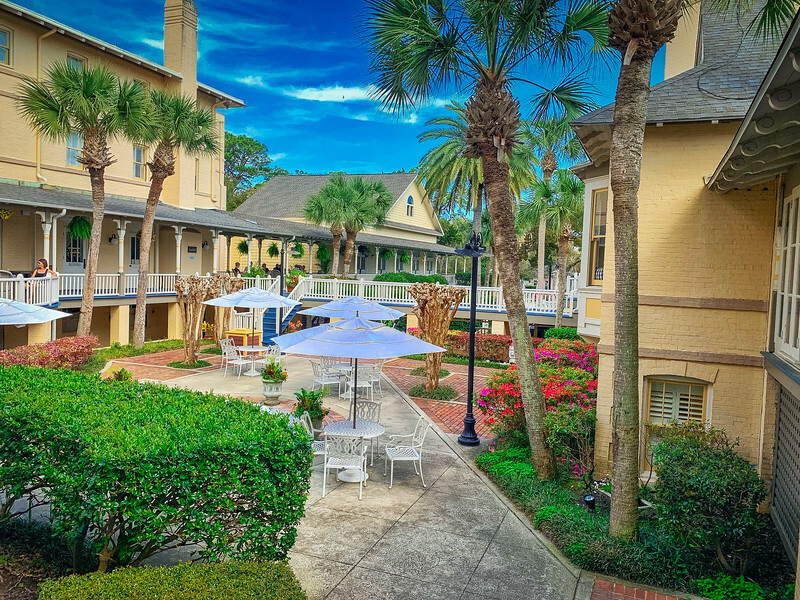 That’s right, when you stay at Jekyll Island Resort, you can experience all of this and much more while enjoying an epic stay on this historic island. 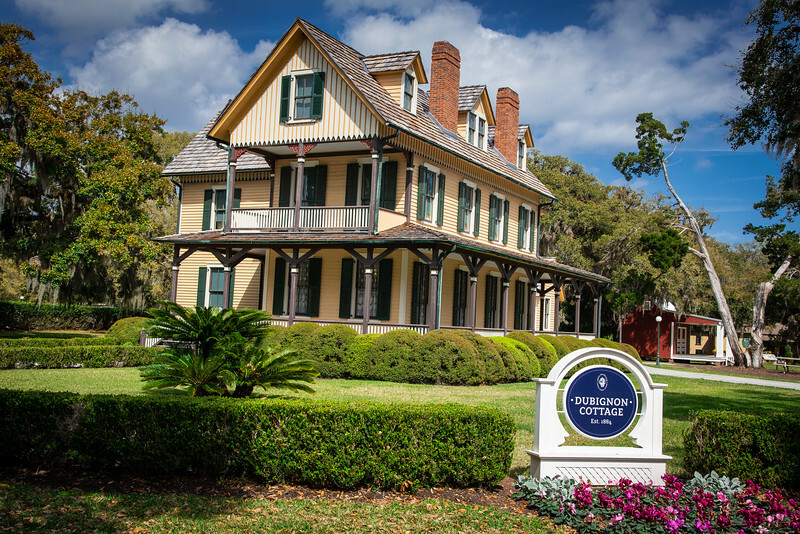 As part of the collection of Golden Isles in the southern part of Georgia and north-eastern tip of Florida, Jekyll Island is perhaps the most historic with all of the iconic figures that have been associated with properties on this island. When you start learning about infamous names such as Pulitzer, Rockefeller, JP Morgan etc. 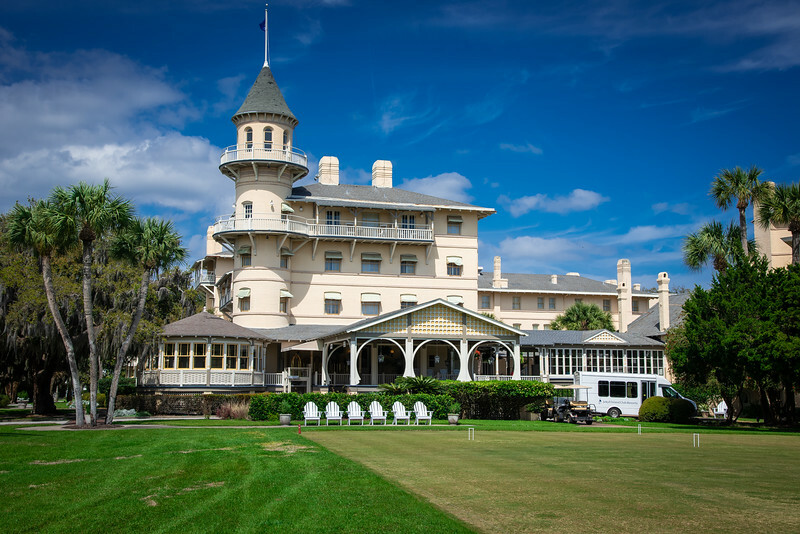 that have all had “cottages” (more on these later) and were part of the “Club” you will quickly realize that Jekyll Island is a pretty historic location. 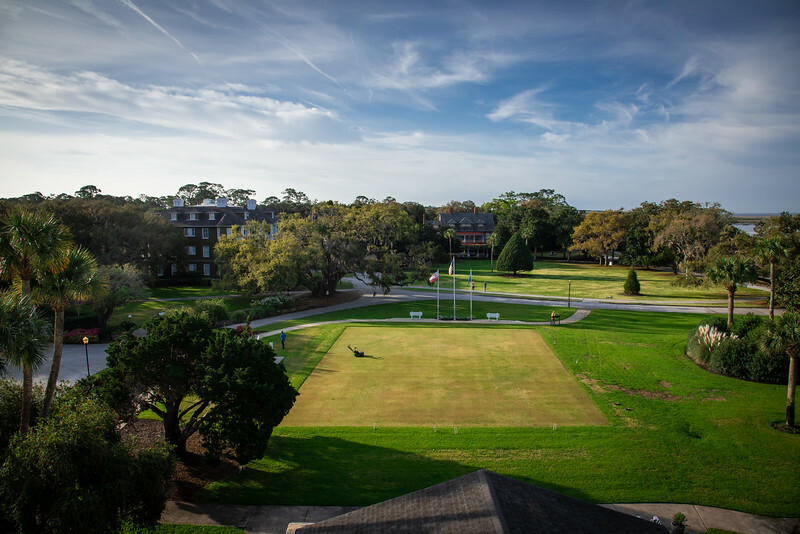 Today, Jekyll Island has been transformed into a state park and is preserved and maintained as such, while keeping as much of the original architecture and layout from the original Jekyll Island “Club” era. 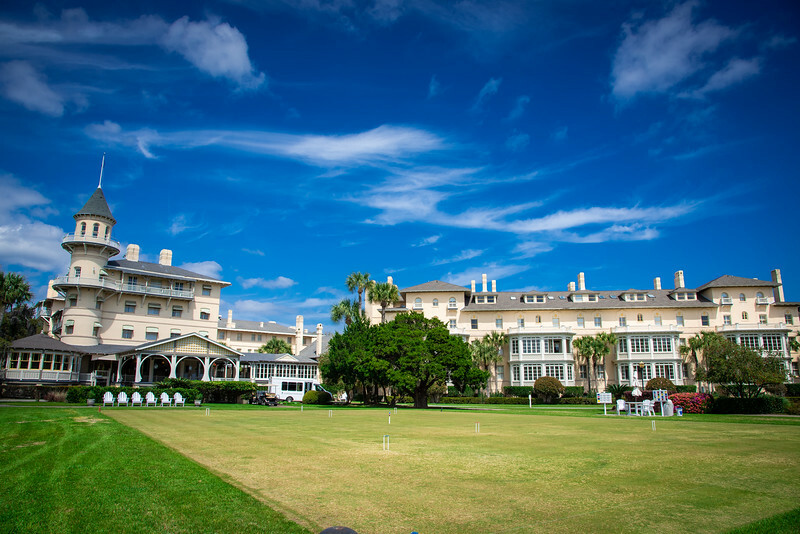 We enjoyed an awesome 48 hours exploring Jekyll Island while staying at the luxurious Jekyll Island Club Resort. Let’s take a look at some of the best things to do during a weekend getaway on one of Georgia’s Golden Isles! 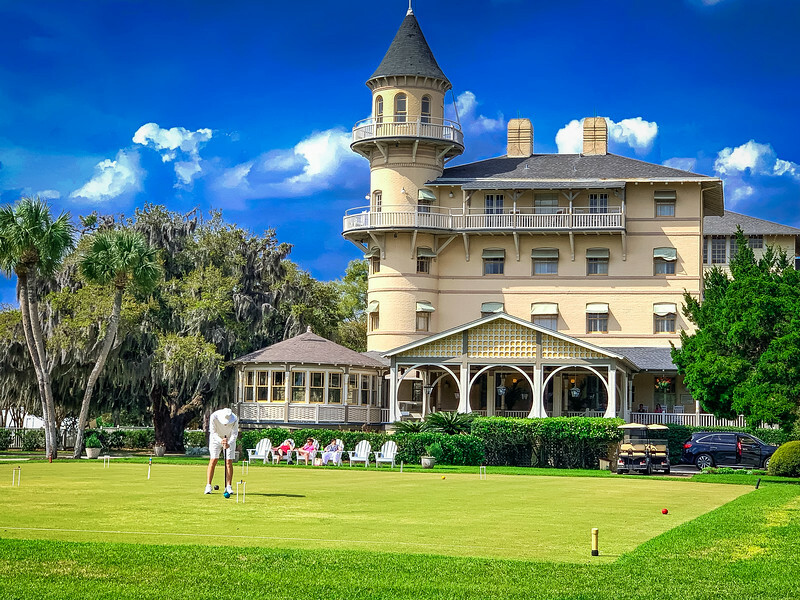 When you visit Jekyll Island, if you are looking to enjoy the ultimate, authentic experience, there is no better place to stay than the Jekyll Island Club Resort! 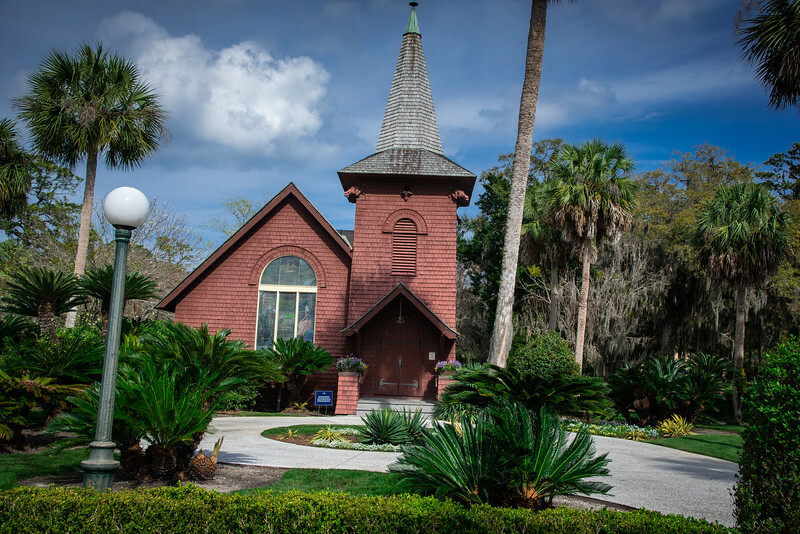 From the moment you drive through the toll plaza to gain entry to Jekyll Island, you will immediately be transformed into a historic landscape. 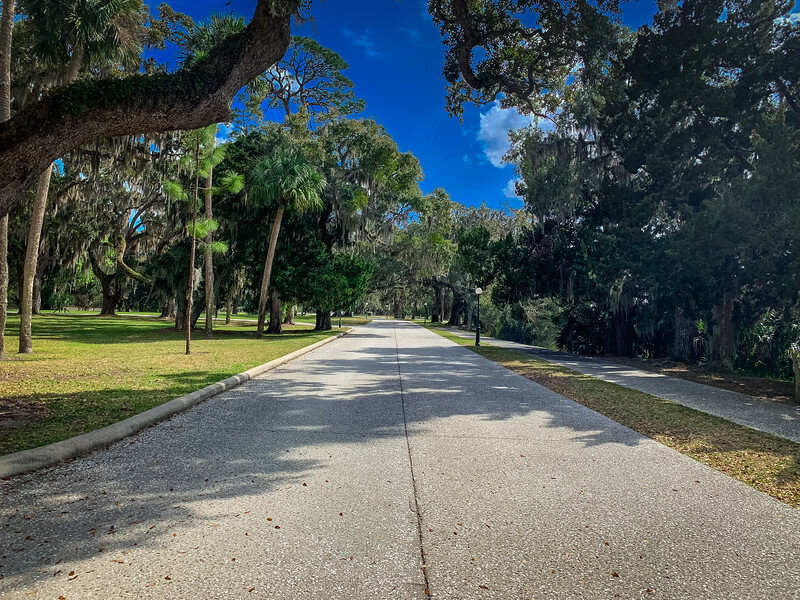 Take the short drive along Riverview Drive passing by a number of ancient, yet spectacular cottages and arrive under the canopy at Jekyll Island Club Resort. 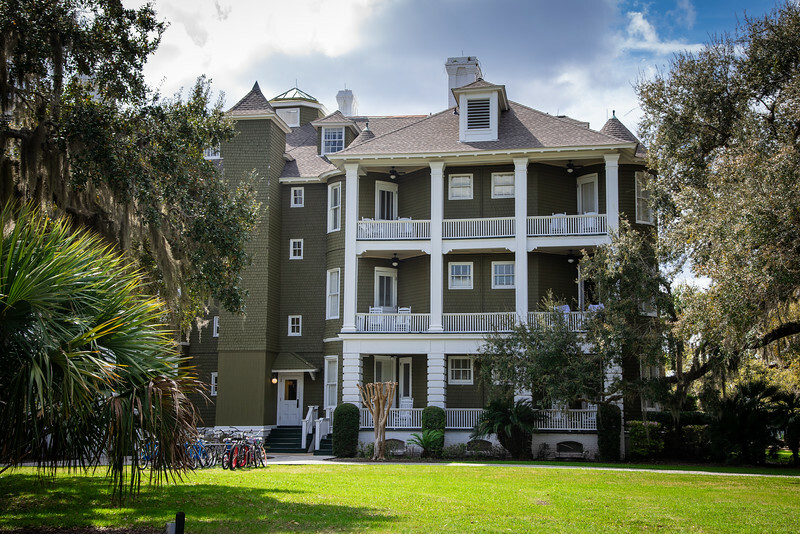 Your vacation of exploring Jekyll Island’s history and breathtaking natural scenery awaits but before all of that, enjoy a little “R and R” by taking advantage of the myriad of amenities available to all guests at the Resort. After checking in, the concierge offers free valet service for your vehicle. That’s right, it’s FREE…so you should probably take advantage of it because there are not many places where this service is available. Take the short stroll to your room, whether it be in the main Clubhouse as our room was, or in the nearby alternative buildings that are equally spectacular (Sans Souci, Crane Cottage, Cherokee or even the Ocean Club which is directly overlooking the Atlantic Ocean and only a short drive away). 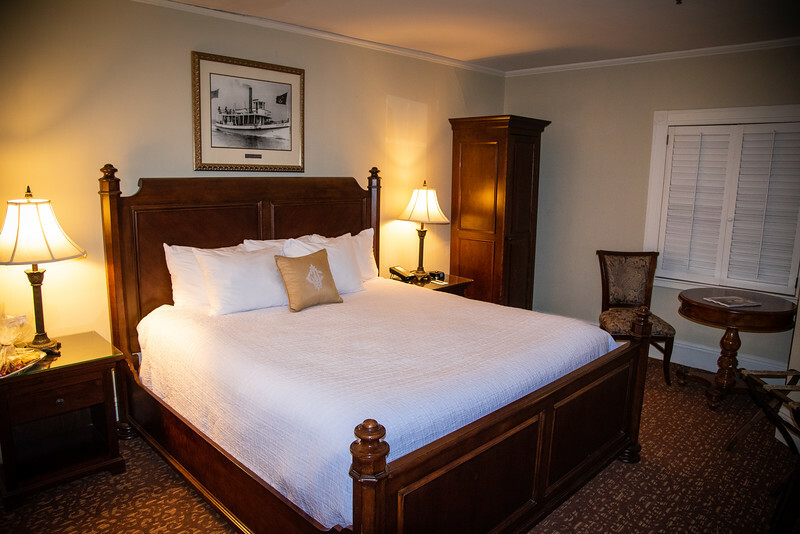 Get ready to be whisked away back to the Victorian era when you enter the luxury suites at Jekyll Island Club Resort. We stayed on the fourth floor of the Clubhouse overlooking the front of the property (more on the croquet lawn later!) but our spacious suite epitomized everything there is to love about the Victorian style decor and archaic remnants that have been preserved to keep the look and feel of what life was like back in the 19th century. Whether you upgrade your stay to a luxury suite/parlor or simply enjoy the standard guestroom accommodations, you can be sure that your stay will be relaxing, comfortable and immediately make you reminisce of life during the Victorian ages. Perhaps the pièce de résistance that would make you want to book a stay in the luxury suite inside the Clubhouse are the balconies overlooking the croquet lawn. A spacious area where you can relax and enjoy the gorgeous surroundings while indulging in a Caramel Macchiato or other espresso from the Pantry located on the main floor certainly justifies upgrading to this room. 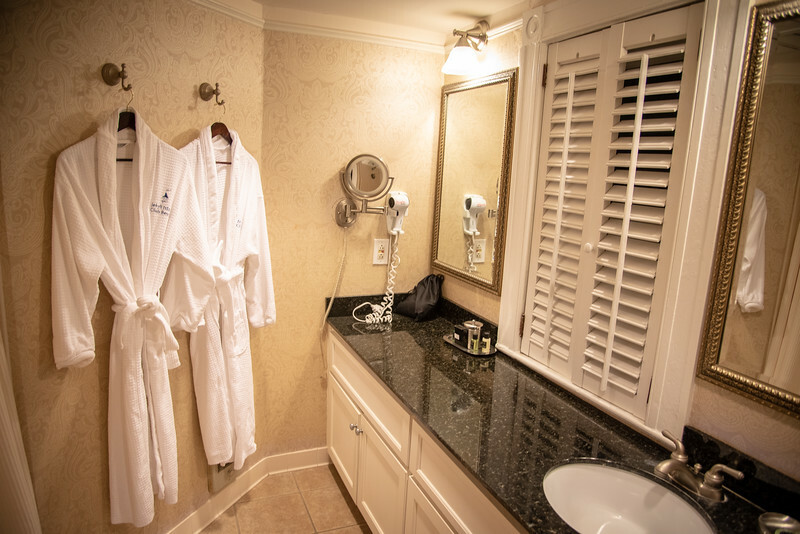 For those of you that are intrigued by the thought of a relaxing getaway at Jekyll Island, you are definitely coming to the right place when you stay at the Club Resort. Throughout the grounds, there are a number of reasons to stay “on property” without ever having to leave and honestly, this place is almost like an all-inclusive resort but without the exorbitant costs of staying at one. Adirondack chairs can be found scattered around the Resort though perhaps those directly in front of the croquet lawn are the most intriguing. That’s right, you can watch all the local croquet experts test their skills on this vintage lawn. Another prime time location is on the main floor of the Clubhouse overlooking the courtyard that has a real Italian feel to it with the relaxing sound of the water trickling out of the fountain. 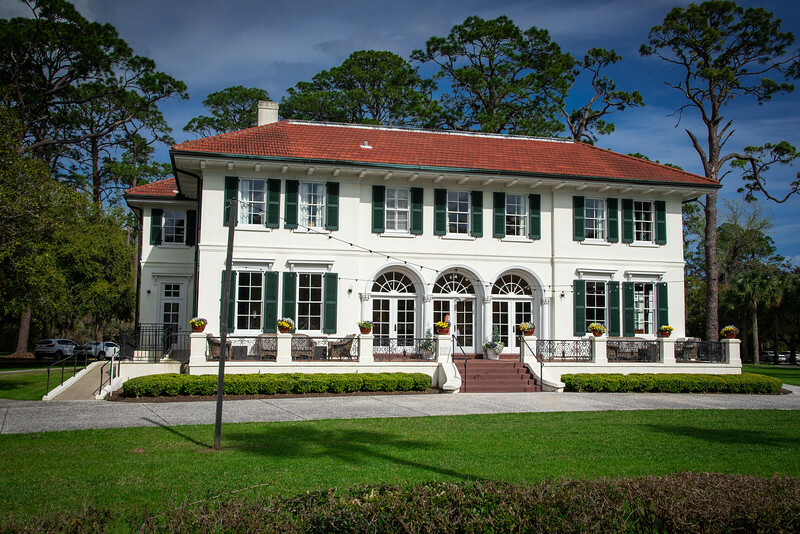 Enjoy a glass of your favorite wine from the bar or a sweet tea from the Pantry while reading all about the history of Jekyll Island. 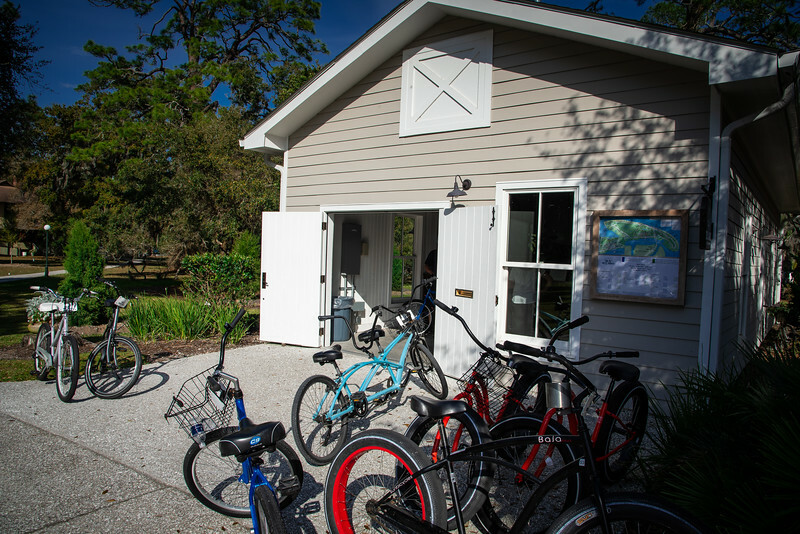 If you are looking for a little adventure during your stay at the Club Resort, head over to Jekyll Wheels Bike Rentals, grab a bike and head out to explore the 20 miles of paved bike paths around the island. 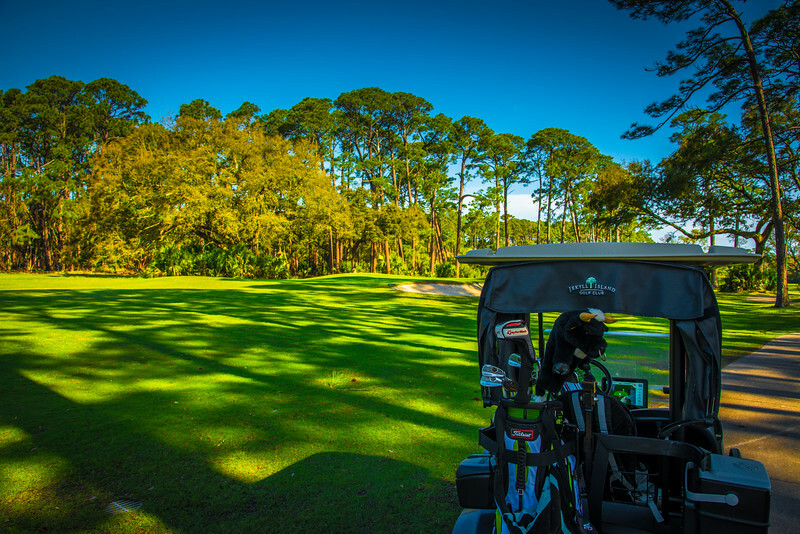 It is perhaps the best way to enjoy the real beauty of Jekyll Island and there is no better way to get a little exercise before enjoying the island’s local cuisine offerings. Throughout the main floor of the Clubhouse are a number of dining options. 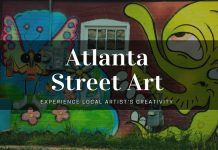 Whether you are ready to experience the Grand Dining Room for an amazing breakfast or dinner, or perhaps you prefer to opt for lighter fare inside the Pantry, there are plenty of options to satisfy everyone’s appetites and budget. Before going any further though, let’s take a moment to consider the Grand Dining Room and after learning more about it, you may well be inspired to reserve a table for at least one meal inside this room. Renowned as a venue with both historic and social importance, it’s inside the Grand Dining Room that those infamous figures such as Pulitzer, Rockefeller and Vanderbilt would have gathered, mingled and performed many of their significant meetings. 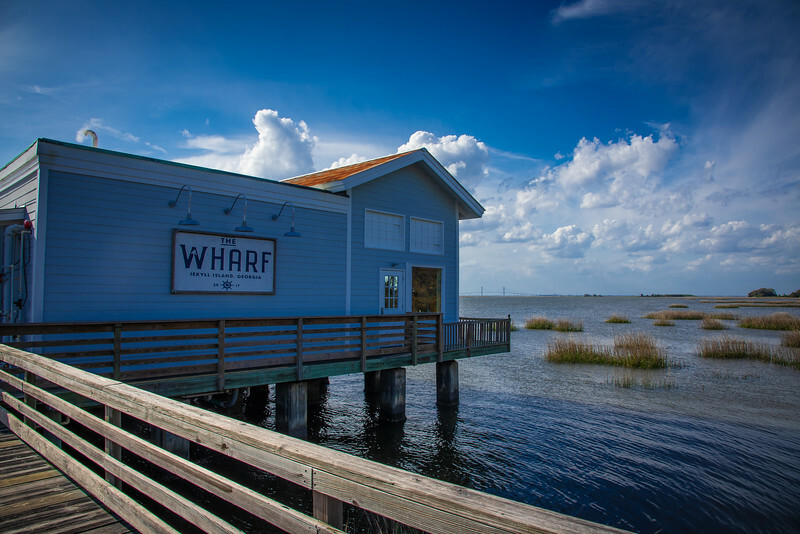 Just a short walk across from the Clubhouse is The Wharf which is the perfect option for an evening of entertainment, delicious cuisine and breathtaking panoramic views across the river. 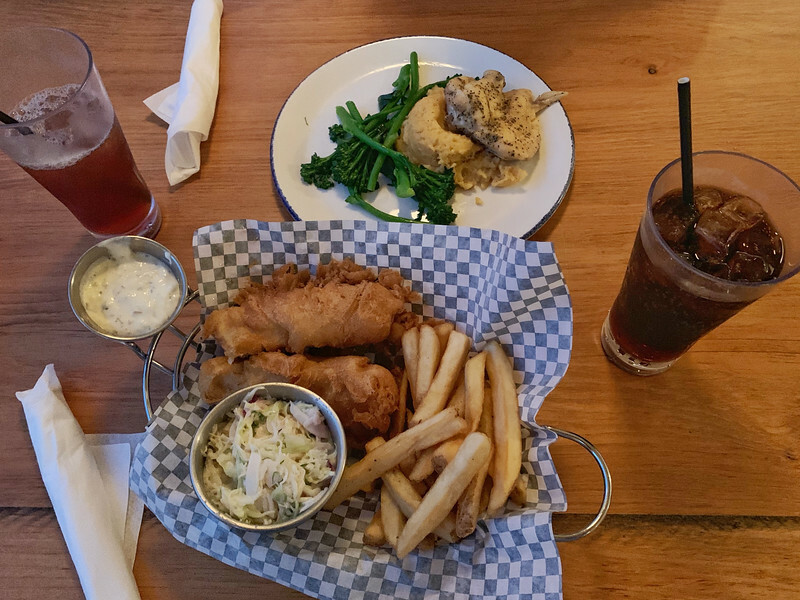 Enjoy Fish and Chips or other house specialties before indulging in Key Lime Pie or Pecan Pie for dessert to satisfy your sweet tooth. 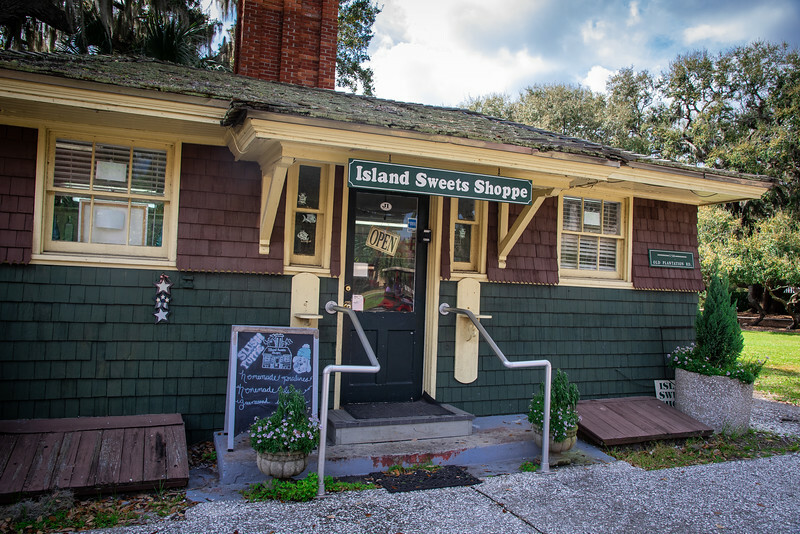 Island Sweets Shoppe for a scoop of your favorite ice cream, a slab of fudge or other sweet treats! 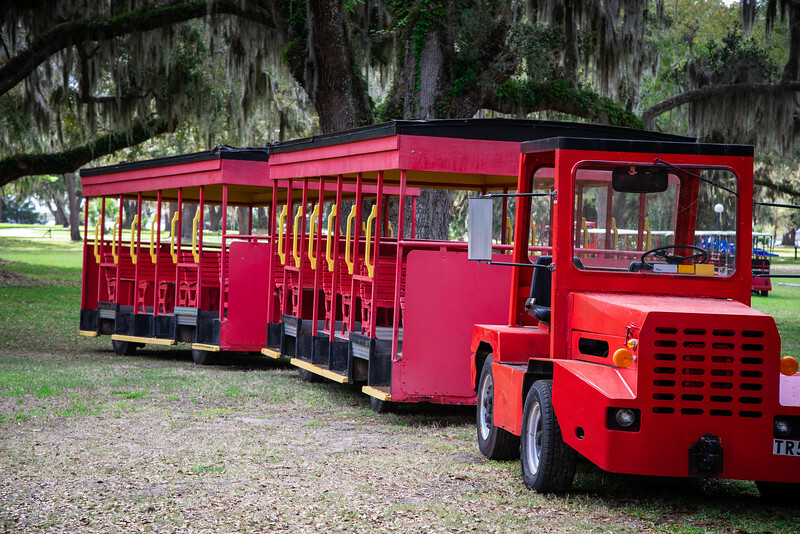 If relaxing at the Club Resort or enjoying a bike ride around the island isn’t enough to satisfy your adventure on Jekyll Island, don’t worry, because there are plenty of other attractions and things to do that will keep you occupied. 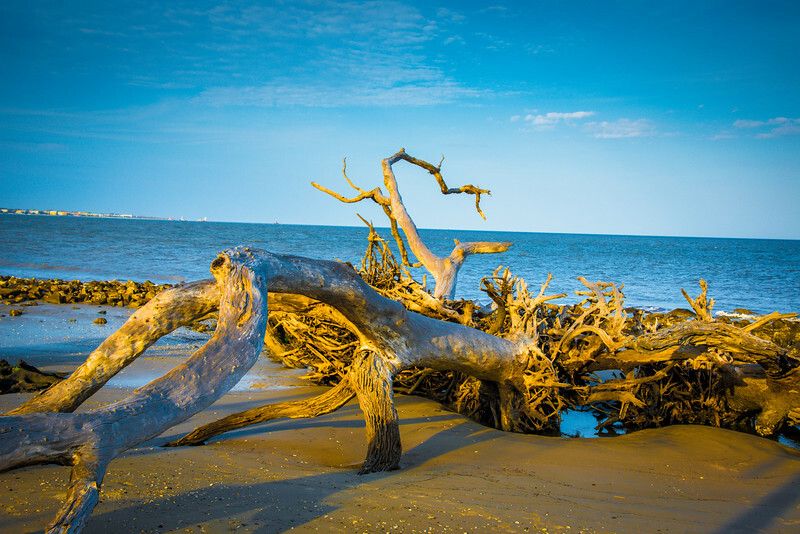 Let’s take a look at some of our favorites, each of which will cover the history, the beauty, the nature and the fun that Jekyll Island deserves to be associated with. 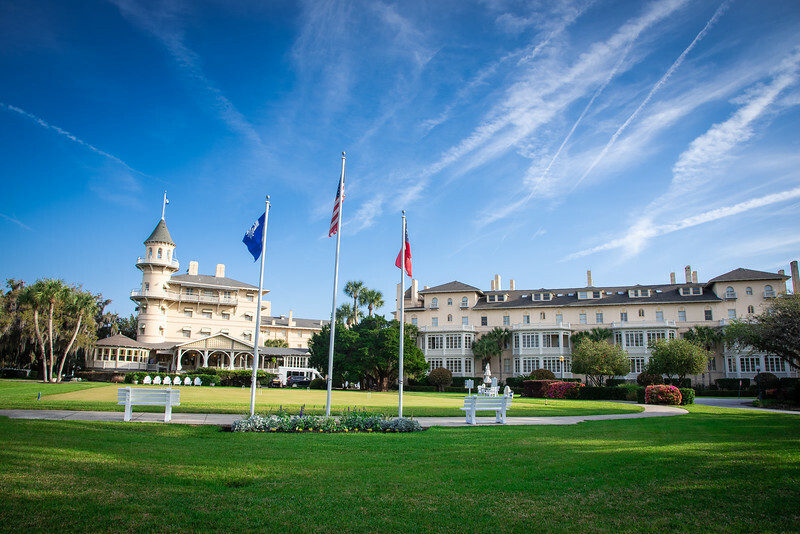 Ready to explore the historic district on Jekyll Island and learn all about the rich heritage associated with the “Club”? 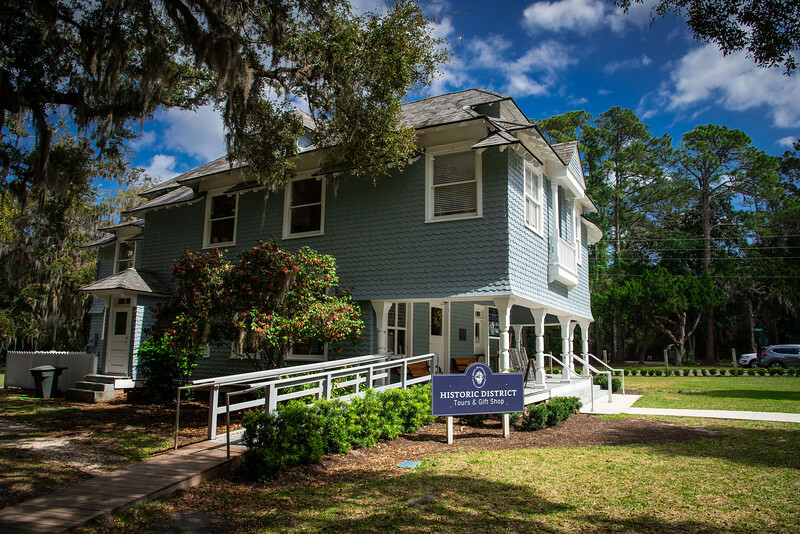 Head over to what was once the old infirmary and is now the Jekyll Island Museum and take a guided tram tour around the entire 240-acre historic district. The Passport to the Century Tour is available daily at 11:00AM, 1:00PM and 3:00PM. 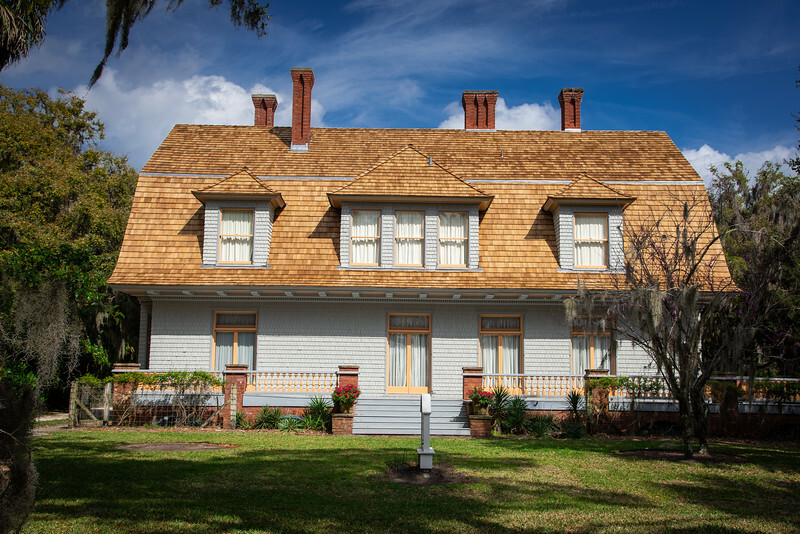 The tour lasts around 90 minutes giving a full tour of the Jekyll Island historic district and is led by a knowledgeable Jekyll Island Association employee who will share all of the history associated with this area. Entry into two of the cottages is included along with the Faith Chapel, though if you take the 3PM tour, this will be closed but you can always use your ticket for re-entry the next day. Our tour saw us visit the beautiful Dubignon Cottage and wonderfully named Mistletoe Cottage. 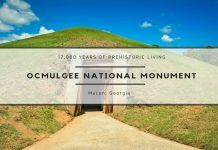 Both are gorgeous architectural structures and it’s a great way to learn about how individuals of such stature would have designed and decorated their homes during this era. 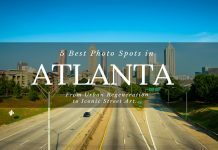 But perhaps the real enjoyment from this tour is being able to sit back and relax as you are slowly shown around this beautiful district with every iconic attraction highlighted. 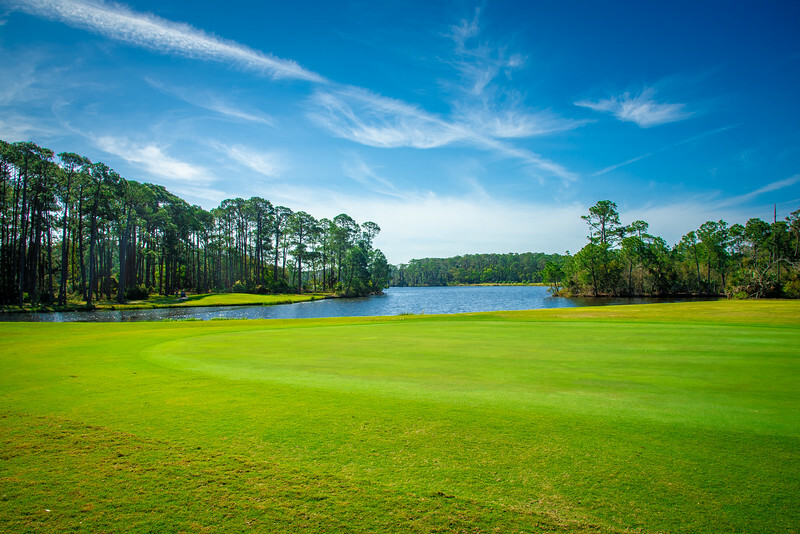 You will certainly leave this tour with a much better idea as to what life was like during the period when the Club was thriving on Jekyll Island. 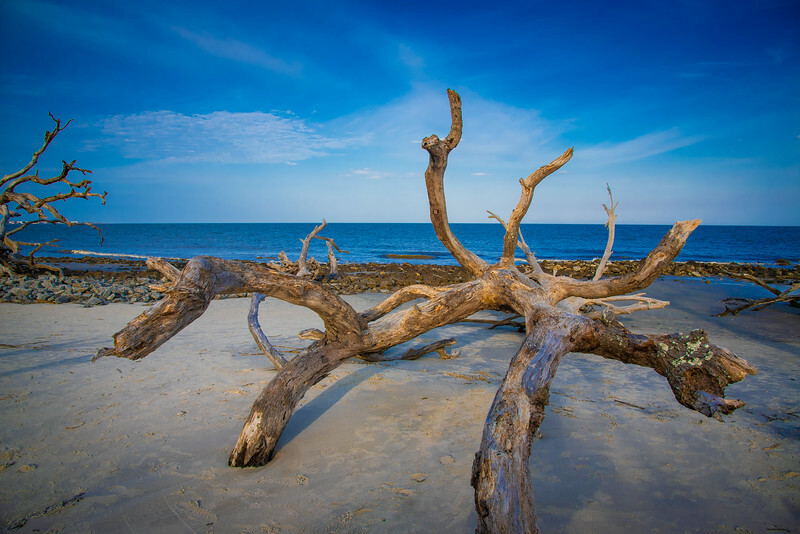 When it comes to natural beauty on Jekyll Island, there is no place more spectacular than the amazing Driftwood Beach located on the north end of the island. With a plethora of beautiful driftwood and other foliage scattered along the beach, this area is unlike most other beaches that you are likely to visit. But there is something quite magical about this landscape and definitely a place you will find incredibly intriguing. 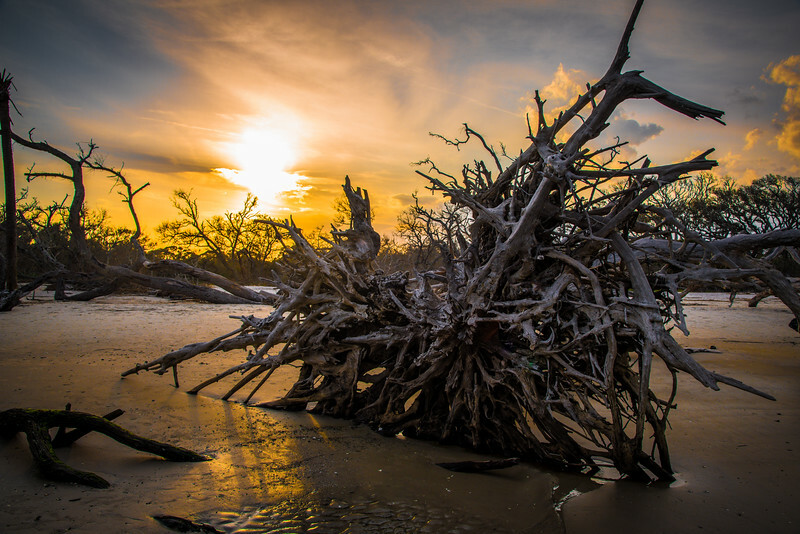 Try to pay a visit to Driftwood Beach at either sunrise or sunset…the photographs you can take will make this worthwhile! 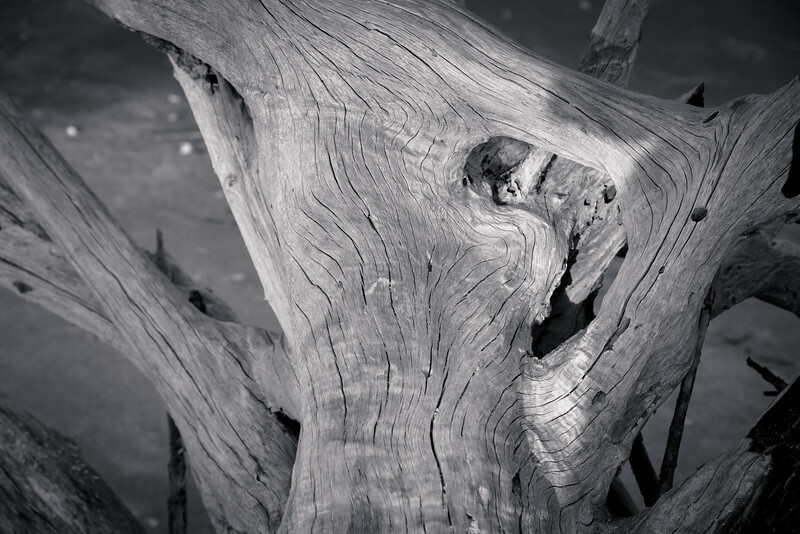 When you hear that Driftwood Beach is frequently voted as one of America’s ten most romantic beaches, after visiting the first time, you will soon realize why. We spent a couple of hours wandering along the beach, taking in the breathtaking panoramic scenes, mingling with the various shapes and sizes of driftwood before enjoying the incredible sunset. This is a prime time location for engagement and senior pictures. If you are looking for the ultimate “unique” beach destination for a wedding or just for a weekend getaway, Driftwood Beach is definitely one that should be on your radar. rehabilitation facility, we quickly realized just how amazing a job the folks that work here really do for the natural environment. 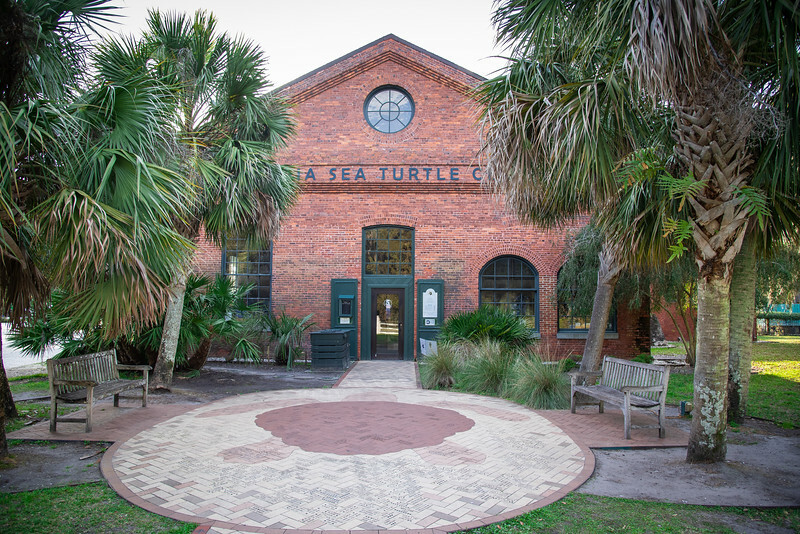 From sea turtles that are in need of care to a myriad of other wildlife, visitors can take a self-guided tour of the on-site museum while watching the nurses take care of those that are brought into the Sea Turtle Center. 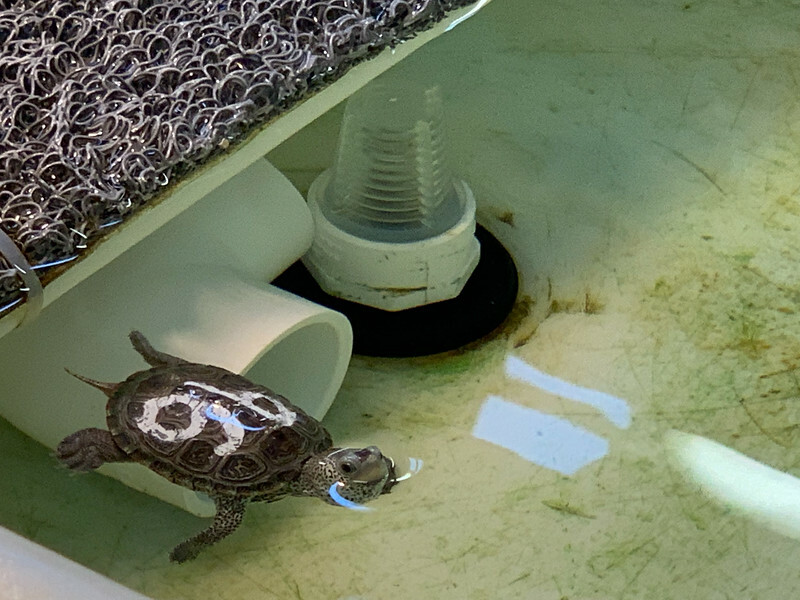 Learn all about the ecosystem that is perfect for sea turtles to thrive while watching the baby sea turtle being fed. Sea turtles are an endangered species and the work that is carried out inside the Georgia Sea Turtle Center goes a long way to preserving and helping these turtles lead a long a healthy life back in the wild. 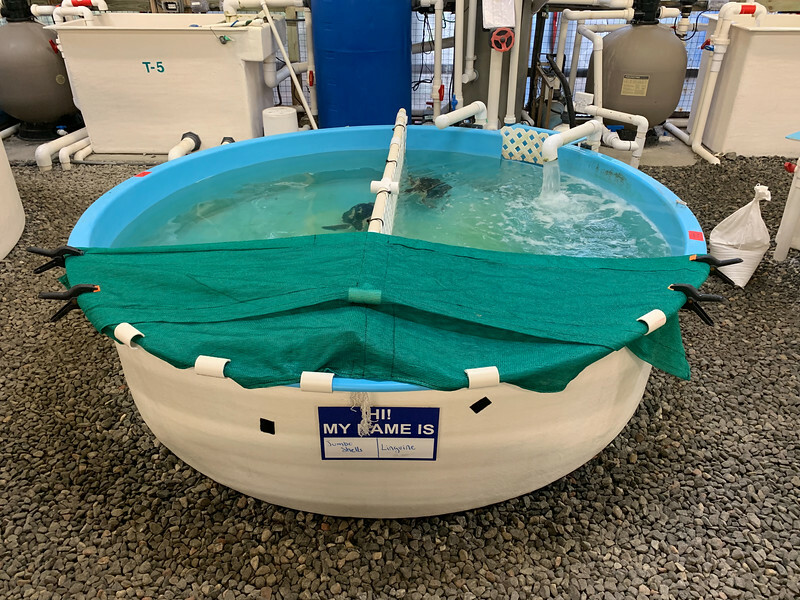 The admission fee alone is well worth it given that the proceeds go back into helping these sea turtles but you can also adopt your very own for a $50 donation. If you love golf as much as I do, heading over to Jekyll Island Golf Club and sampling the four amazing golf courses will be a no-brainer. Three 18 hole courses and a 9 hole shorter course are all available, each of which will test even the most skillful of players. We had the privilege of playing the Oleander Course which is renowned as being the most distinct in terms of its design. The ocean breeze that frequently drifts across the course adds to the overall difficulty but it’s the pristine condition and challenging layout that makes this such an attractive course for visiting golfers. 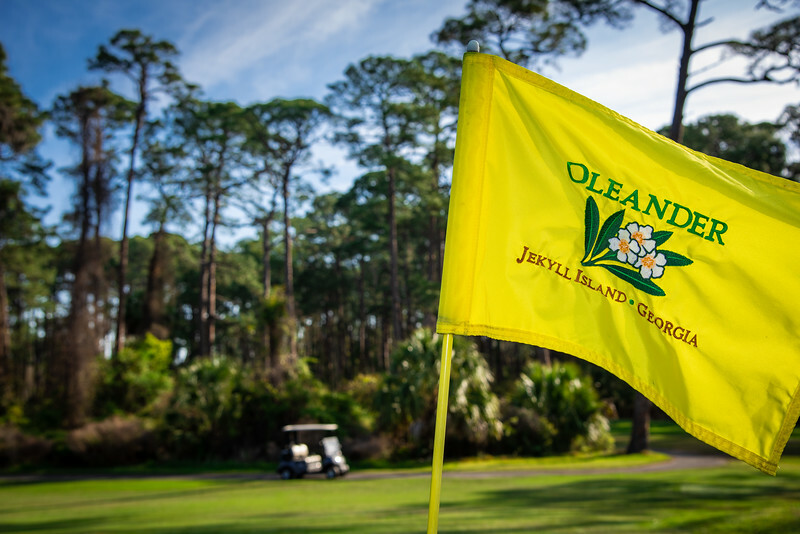 Regardless of the score you shoot when playing any of Jekyll Island’s courses, it’s having the opportunity to relax and play one of the finest courses in the Golden Isles that should justify adding some time in your itinerary to enjoy this. 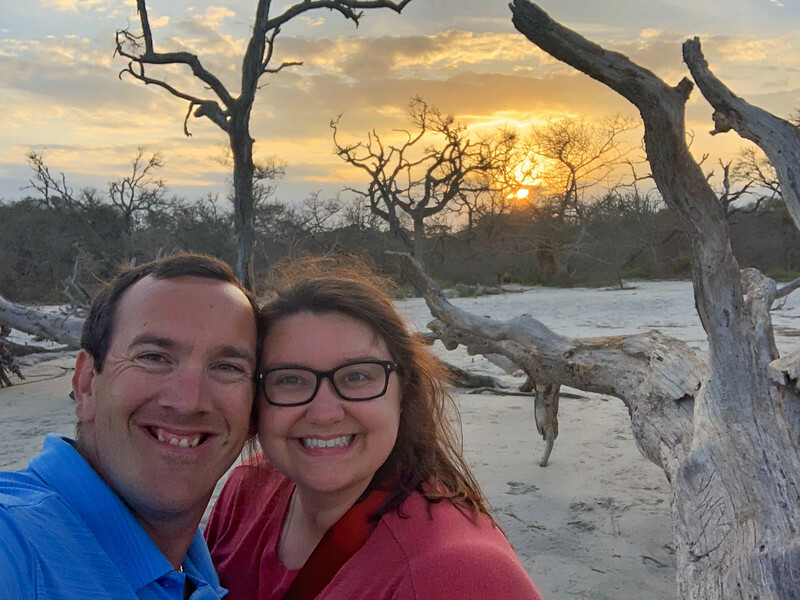 It’s always a pleasant surprise when you stumble across a new destination that leaves you wanting to return in the future and Jekyll Island certainly accomplished this. 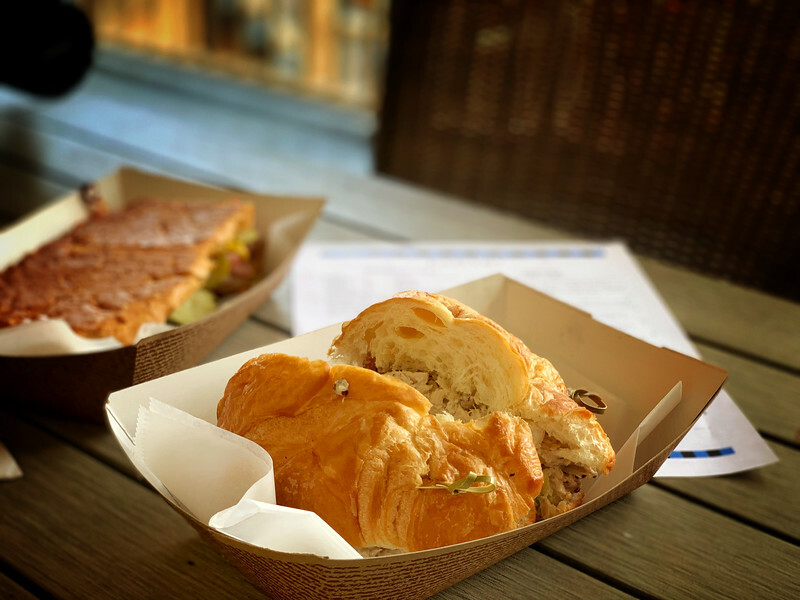 Prior to visiting, I have to admit that we had zero expectations and honestly no clue what our experience on one of the Golden Isles was going to be like. 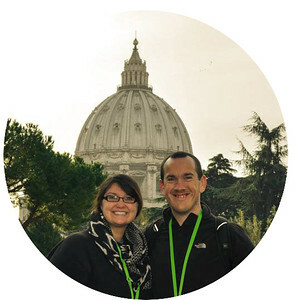 I can 100% attest that our experience was amazing. From the gorgeous Jekyll Island Club Resort where we stayed to the diverse variety of attractions available across the small island. It may only take a short time to get around the island but it certainly packs a lot into a small space. We look forward to returning to Jekyll Island in the near future and hopefully have inspired you to add this to your bucket list. If nothing else, paying a trip to the amazing Sea Turtle Center or the breathtaking landscapes on Driftwood Beach should be enough to warrant a visit…but folks, don’t forget, can you resist the temptation of testing your skills on the croquet lawn and becoming part of “The Club”? This sounds fabulous. David and I both love historic buildings and islands and David is a great croquet player. 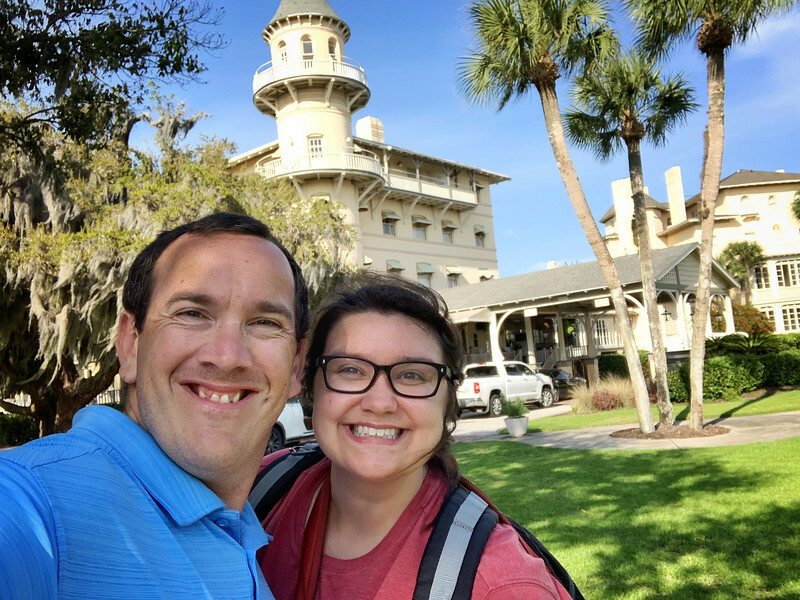 For us it would be more than a weekend away but I’ll tuck this post away for next time we are near Jekyll Island on a road trip. Needless to say I hadn’t heard of it previously. Jekyll Island is only 4 hours from me and I’ve yet to visit (I think it’s the only beach area near me that I haven’t been to yet) I hope to get there this summer. Love your boneyard beach photos!